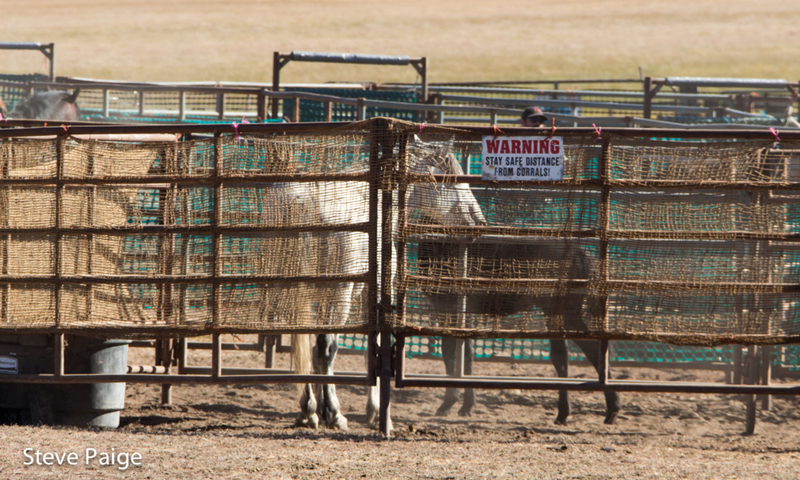 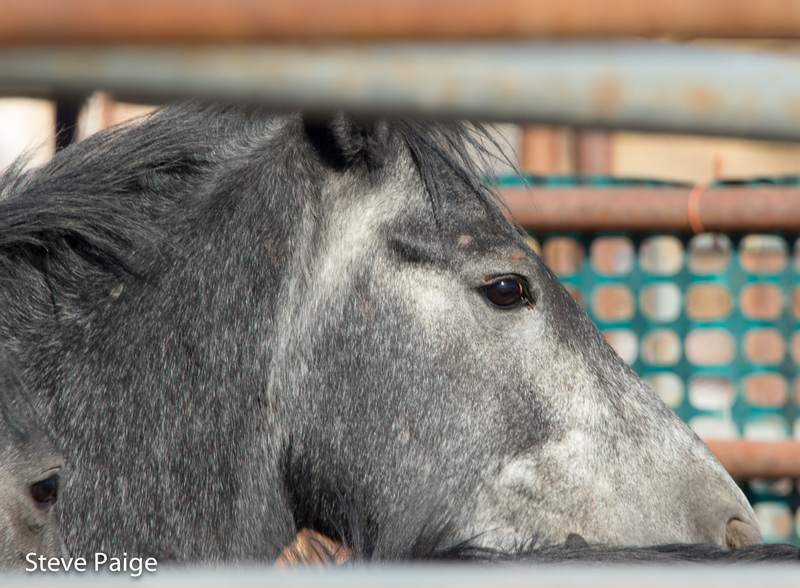 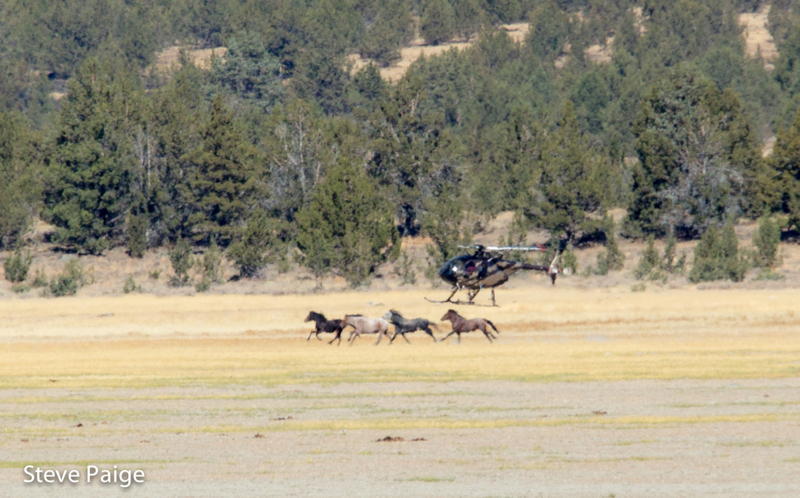 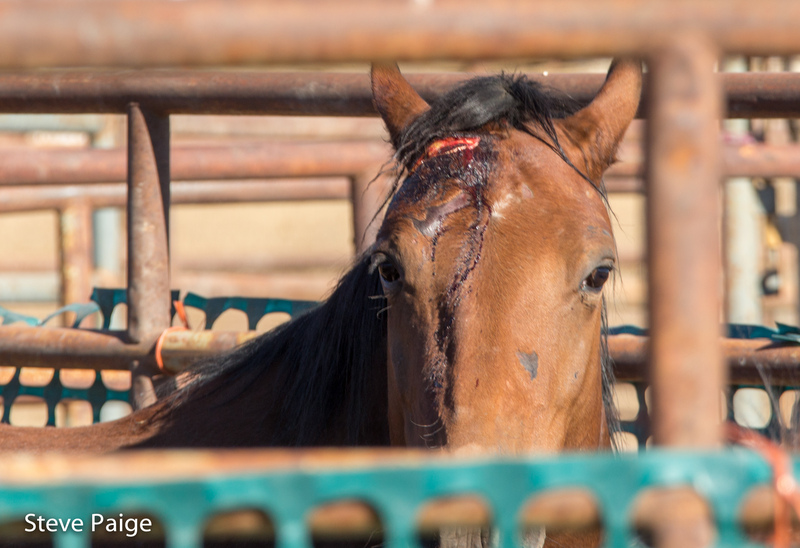 Forty-five wild horses were captured during the first day of a roundup on The Devil’s Garden Wild Horse Territory in northeastern California. 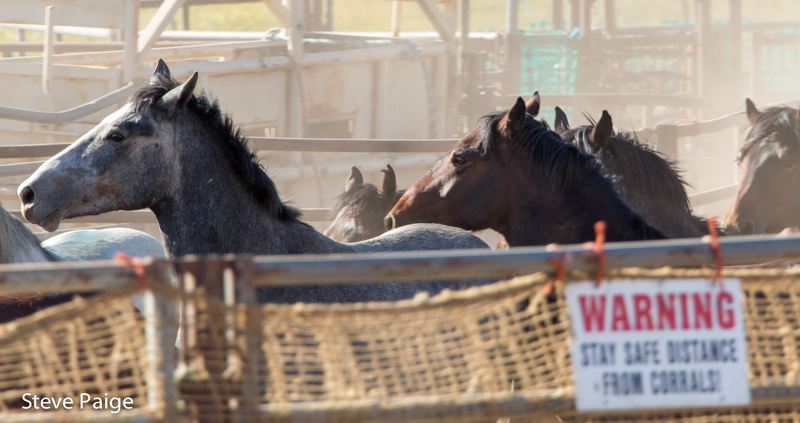 The U.S. Forest Service plans to round up 200 horses. 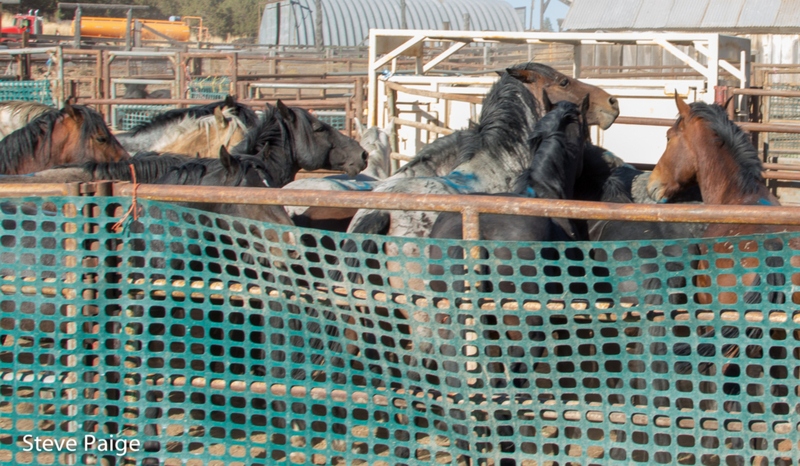 On Monday, the roundup began on Pit River tribal land. 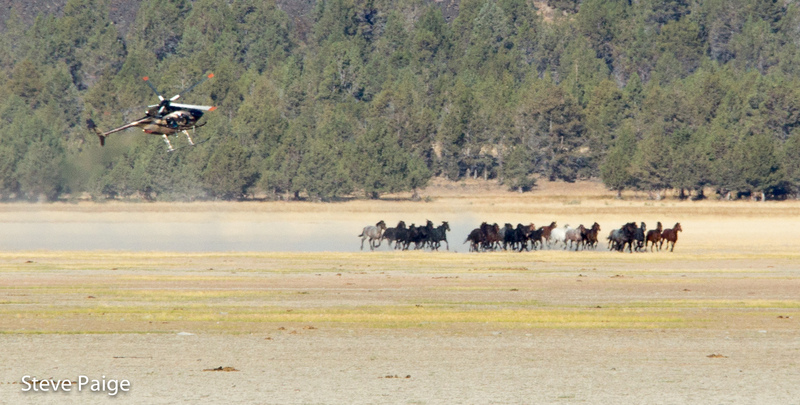 Because of this, observers, including RTF’s Steve Paige, were limited to viewing the helicopter-driven roundup from a great distance away, along the Goose Lake Causeway. 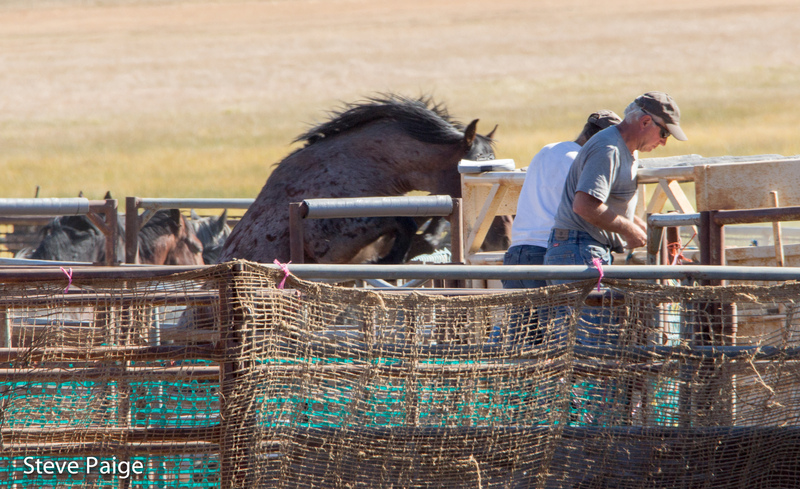 Later, observers viewed horses in temporary holding after the horses had been sorted and separated.